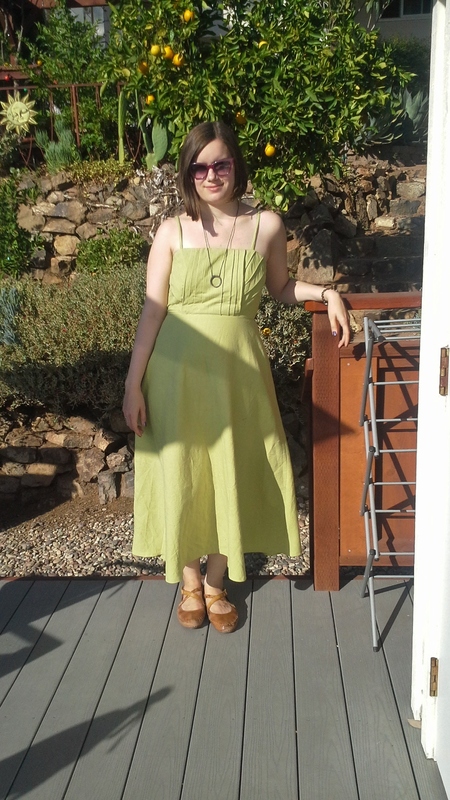 I’ve wanted to make a maxi dress for a really long time, but haven’t been able to think up/find a pattern that would suit my needs. Simple, but not plain, neat, but not too festive, relaxed, but not too hippy-ie. Sometimes I’m hard to please. 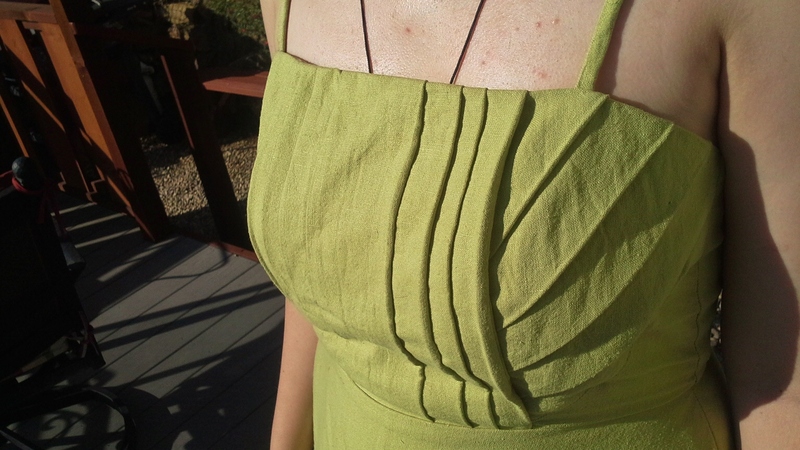 But finally, sitting on the couch at home, watching whatever, I came up with this simple dress with a pleated bodice, and knew that that was the one. Luckily I also found a half linen, half cotton bedsheet from the flee market for around 2 € to make it from, so all was good. Unfortunately I was so busy before leaving for the US that I didn’t even have time to take photos of said dress. But here it is now, complete with sunny California! Yay! The skirt is a simple flared thing, nothing special. 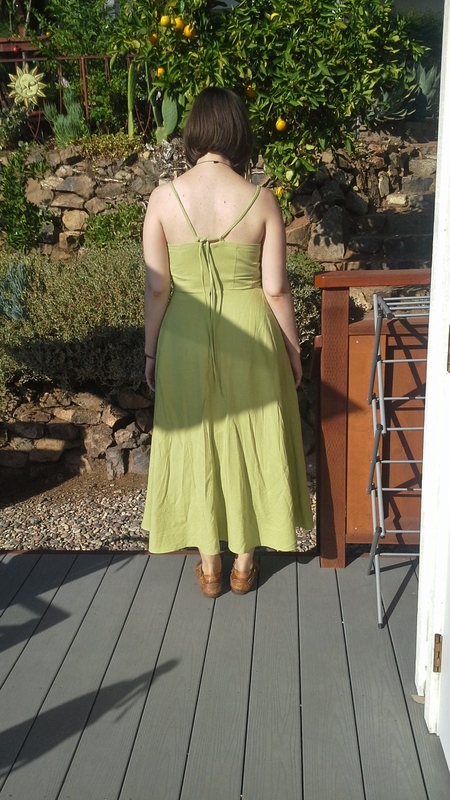 It was supposed to be full-maxi but I ran out of fabric. Oops. The straps are tied at the back via two small loops, so they are easy to adjust in case they start stretching. The pleated bodice is lined with a plain version of the same pattern, but some of the pleats still stretch annoyingly, so I’ll have to do some sneaky stitches in there somewhere when I’m bothered enough. It’s strange to look at these sunny and summery pics when Autumn is already well on the way here in Helsinki. Even though I’m not really a summer person (possibly weird?) I almost miss the sweltering heat of the sun in San Diego when I see it in photos.